A Fun Slide is available all weekend for kids and their parents to enjoy. 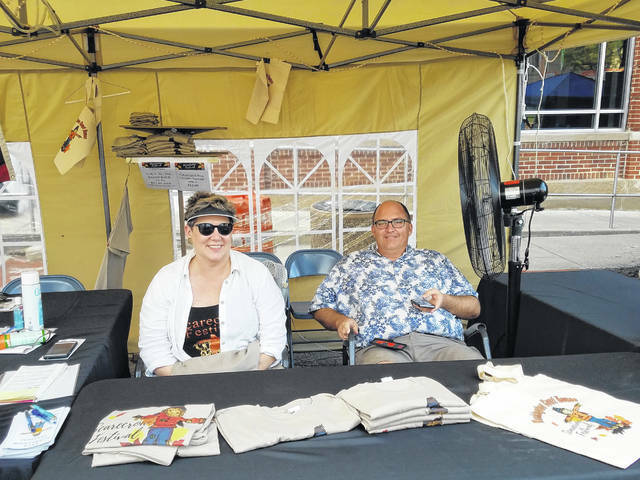 Anne Quinn, with the Carnegie Public Library, and Joe Denen, Washington Court House City Manager, greet patrons throughout the evening. Scarecrow Queen Brooklynn Stanley poses with member of the Queen’s Court Lexi Hagler on the first night of the 2018 Scarecrow Festival. Both enjoyed an evening of food, music and fun while performing their royal duties. The other member of the Queen’s Court, Andrea Robinson, was cheerleading on Friday evening. Malia enjoys a swing during Friday evening at the Scarecrow Festival. 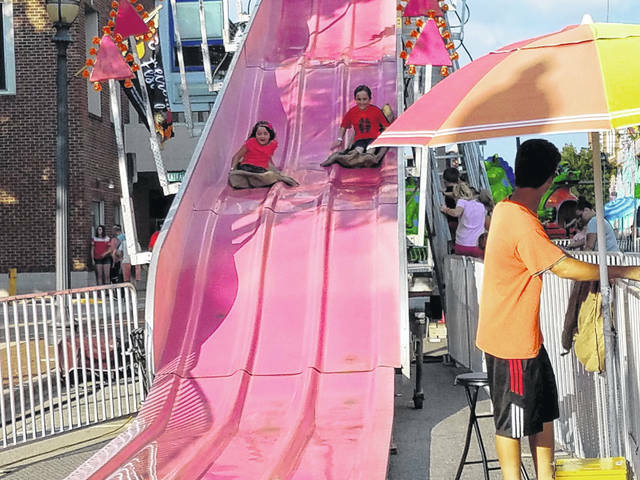 https://www.recordherald.com/wp-content/uploads/sites/27/2018/09/web1_20180914_182108.jpgA Fun Slide is available all weekend for kids and their parents to enjoy. https://www.recordherald.com/wp-content/uploads/sites/27/2018/09/web1_20180914_182537.jpgAnne Quinn, with the Carnegie Public Library, and Joe Denen, Washington Court House City Manager, greet patrons throughout the evening. 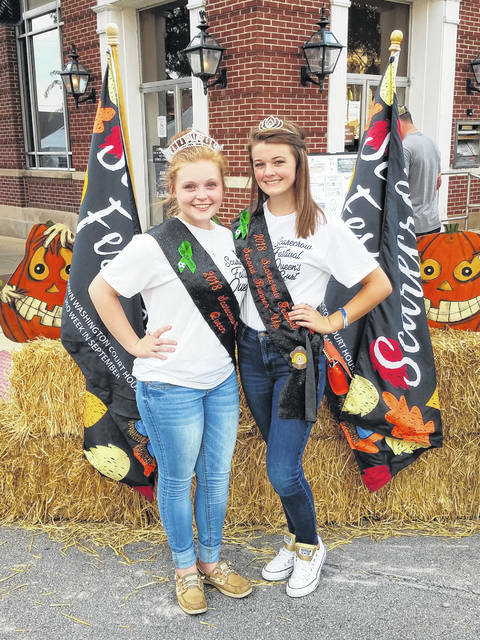 https://www.recordherald.com/wp-content/uploads/sites/27/2018/09/web1_20180914_182948.jpgScarecrow Queen Brooklynn Stanley poses with member of the Queen’s Court Lexi Hagler on the first night of the 2018 Scarecrow Festival. Both enjoyed an evening of food, music and fun while performing their royal duties. The other member of the Queen’s Court, Andrea Robinson, was cheerleading on Friday evening. 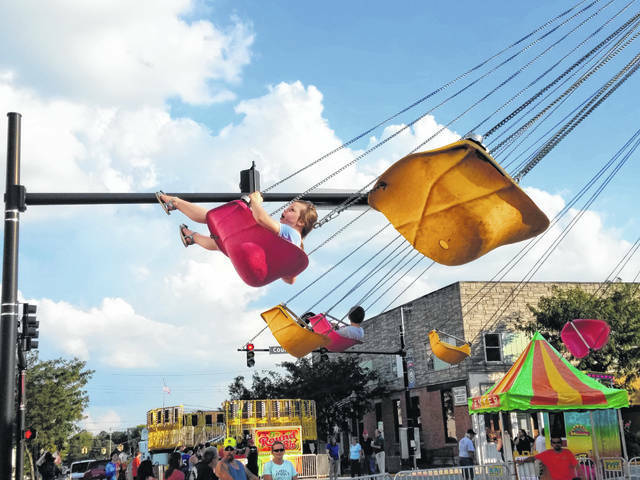 https://www.recordherald.com/wp-content/uploads/sites/27/2018/09/web1_20180914_181146_012_01.jpgMalia enjoys a swing during Friday evening at the Scarecrow Festival.